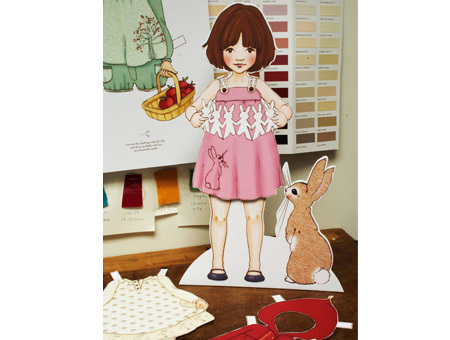 From Belle and Boo a nostalgic paper Belle, she is 37cm high and Boo is 17.5cm high. Printed on substantial white card, with a fold out stand at the back. 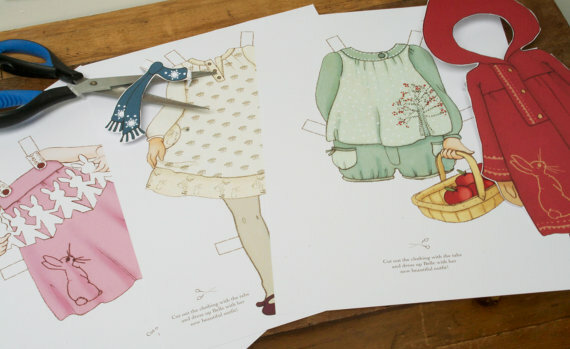 Belle comes with 4 adorable outfits printed on card and a snowflake winter scarf to keep Boo cosy - all you need is a good pair of scissors.